Suffering a serious fall from a scaffold, ladder or roof is every construction worker’s worst nightmare. In many cases, the injured worker doesn’t realize that there may be options to collect money damages above and beyond his or her workers’ compensation benefits. 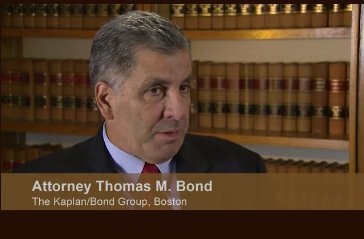 The trial attorneys of THE KAPLAN/BOND GROUP are experienced in all areas relating to construction site falls and Massachusetts fall protection law. We know the regulations governing scaffolding and site preparation and we know how to thoroughly investigate the facts leading up to the injury. Most important, we have helped injured construction workers and their families recover significant money damages, even where the evidence of the case made it appear hopeless. We stand up to insurance companies and fight their tactics that try to place the blame on the injured worker or claim the injury isn’t serious. We have the professional and technical resources to prepare your case for a clear presentation of the facts. And we have the verdicts and settlements to prove our effectiveness. If you’ve been injured in a fall at a construction site, contact one of our trial attorneys immediately to arrange a free consultation. Effective legal action requires broad thinking and narrow action. THE KAPLAN/BOND GROUP recognizes that not every injury is a workers’ compensation matter. Usually, the general contractor and/or the sub-contractors are responsible for the unsafe conditions that have disabled our clients and sometimes the sellers and manufacturers of dangerous or defective products are to blame. When we take your case, we consider all potential sources of responsibility and pursue each towards the best results possible. Unfortunately, too many injured construction workers fail to seek adequate compensation for their injuries because they think workers’ comp will handle everything or because they feel partially responsible for the accident. Don’t expect your employer or the insurance company to take care of you after a serious fall on the job site. You don’t know if you have a case for significant compensation unless you talk to an experienced personal injury trial attorney. Call us toll free at (617) 261-0080 or contact our office by e-mail to schedule a free consultation. Our offices are located in Boston and New Bedford and we represent injured construction workers throughout Massachusetts.